"The most complete shipping system with advantages for your business and your customer"
DeliveryMatch is the most complete Delivery Management Systeem (DMS). 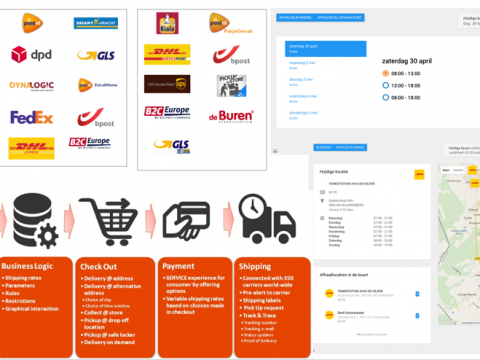 Connection with 350 carriers and drop off point providers directly in your webshop checkout, WMS and/or ERP system! 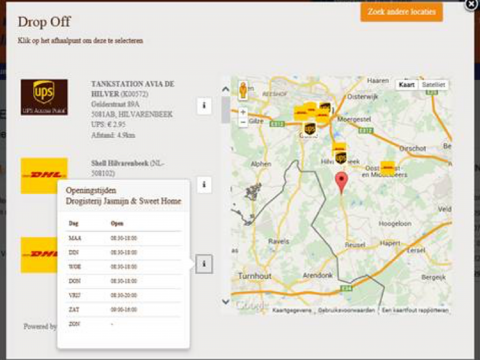 The unique real time calculation of shipping options, delivery options and shipping costs enables you to save costs via management control on your logistic operations and at the same time it makes your customers happy with reliable shipping and delivery options and execution of the shipping. 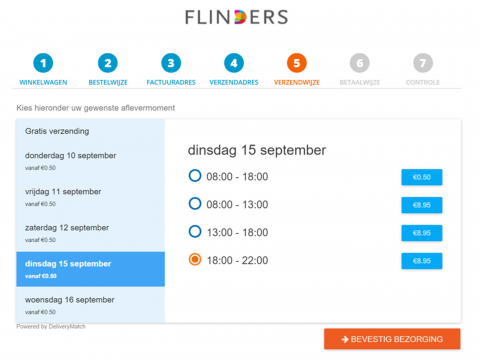 Review our demo here/ and see what our system does in the front end of a webshop. Option to select consolidated or partial deliveries when not all stock is available (if you want to offer this). Further more there are many options, please feel free to tell us your needs. Option to set up your offline stores as pick up points. Implementation costs are mainly depending on the number of carriers you want to use and the number of countries you want to ship to. We will provide you with the cost information upfront. Operational costs are € 55,00 per month up to 175 shipments. Above 175 shipments you pay a rate per shipment of which the amount is depending on the volume volume. Please send us a message via http://www.deliverymatch.nl/support/support-request/. We will contact you within 2 hours on working days between 0900h-1800h. Outside this timeframe we contact you within 4 hours. All documents and instructions for using the system are available in your system account of the DMS.